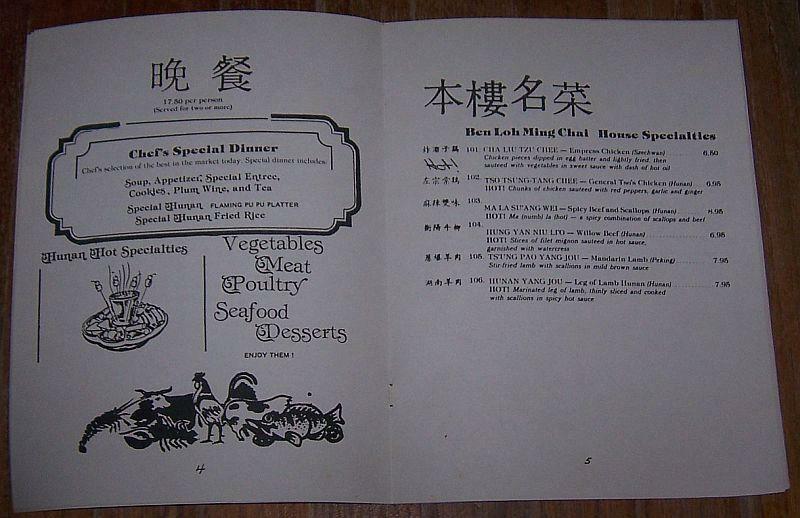 Vintage Menu From House of Hunan, 6405 Mineral Point Road, Madison, Wisconsin. 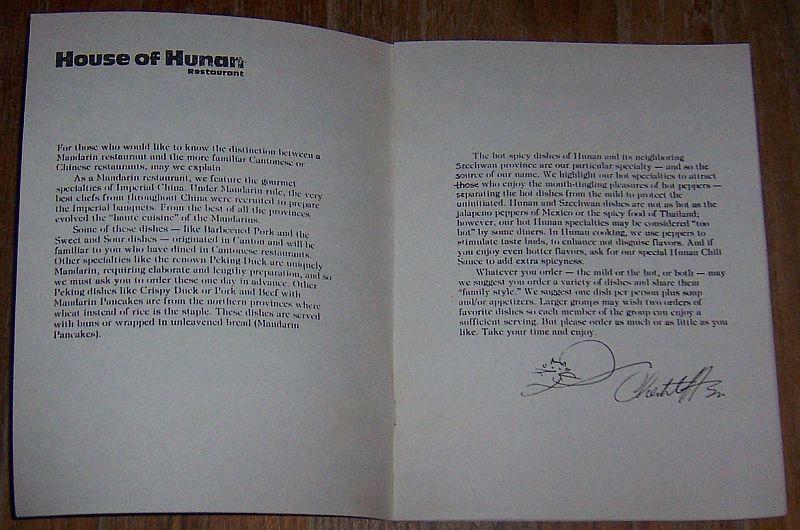 Menu is 11" high and 8 1/2" wide. Good condition. Wear at edges, light soiling. 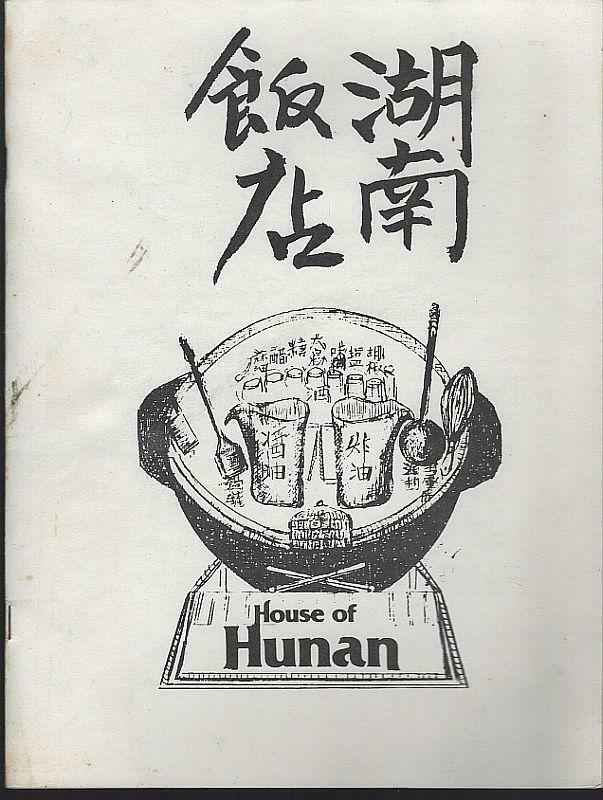 Items Similar To "Vintage Menu From House of Hunan, 6405 Mineral Point Road, Madiso..."